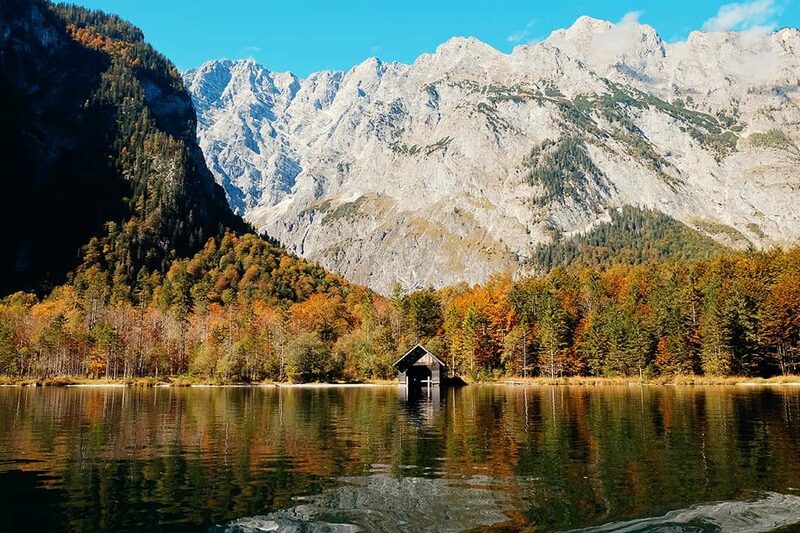 Nestled in the Alps, Königssee is a prime example of Germany’s natural beauty. Located near the town of Berchtesgaden, it is Germany’s deepest and cleanest lake. If you happen to be near Salzburg or Berchtesgaden, a trip to the Lake Königssee is absolutely necessary. 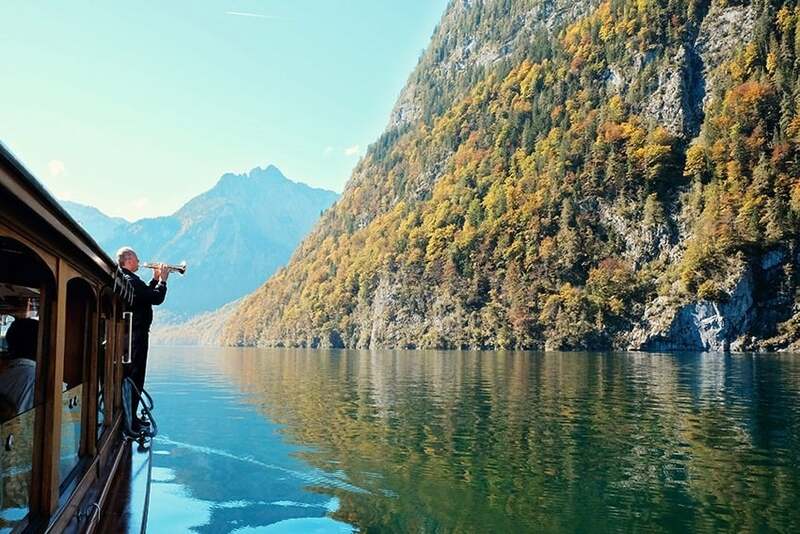 The history of the Königsee Lake has been rich and varied, with the royalty of Bavaria and rulers of Berchtesgaden using the lake as a hunting spot. 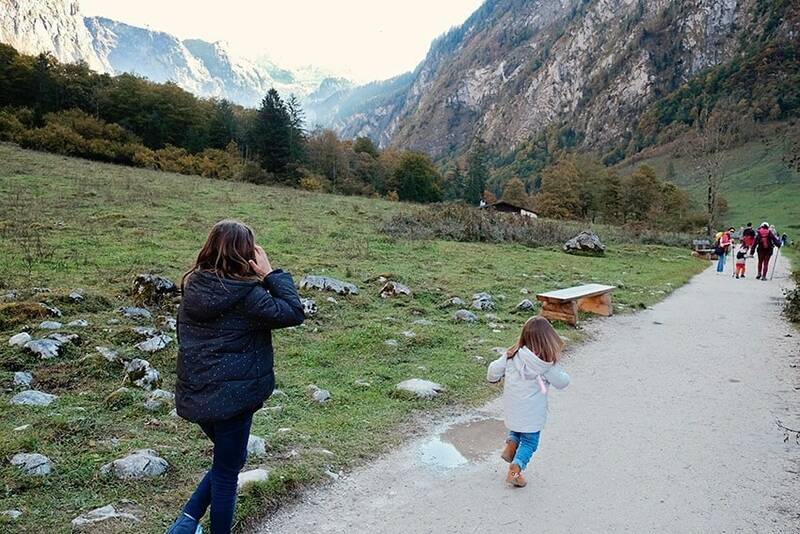 Without further ado, let’s explore the Königssee, Germany’s hidden treasure! Lake Königsee can only be explored via electric boats. 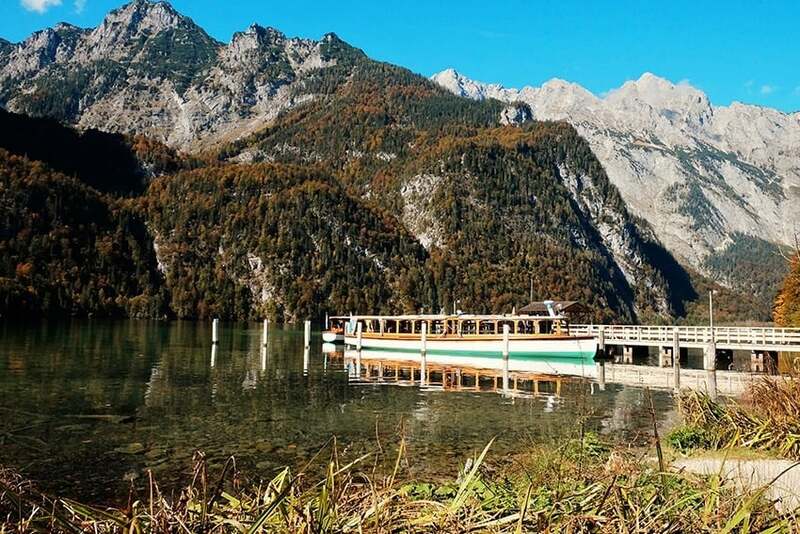 A Lake Konigsee boat tour round-trip to St.Bartholomä costs 13 euros. Note: Be aware that Salet is closed off from November to March, and the boats stop only at St.Bartholomä. Children from 6 years to 14 years of age get half-priced tickets. The tickets are available at the lake office just in front of where the boats are located. 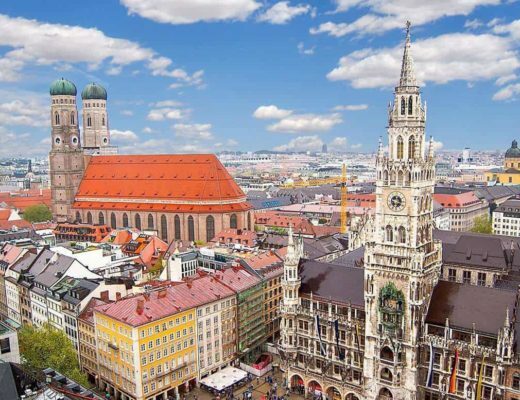 October – May: The first boat to St.Bartholomä departs at 9:00 am, and the last boat returns at 6:05 pm. June to September: The first boat goes at 8:00 am, and the boat returns at 7:05 pm. The boats move at a frequency of 15 to 30 minutes subject to passenger demand. The boats run every day except December 24, unless the weather is bad (in storms, heavy fog, or when the lake is frozen). You can find the timetable here. 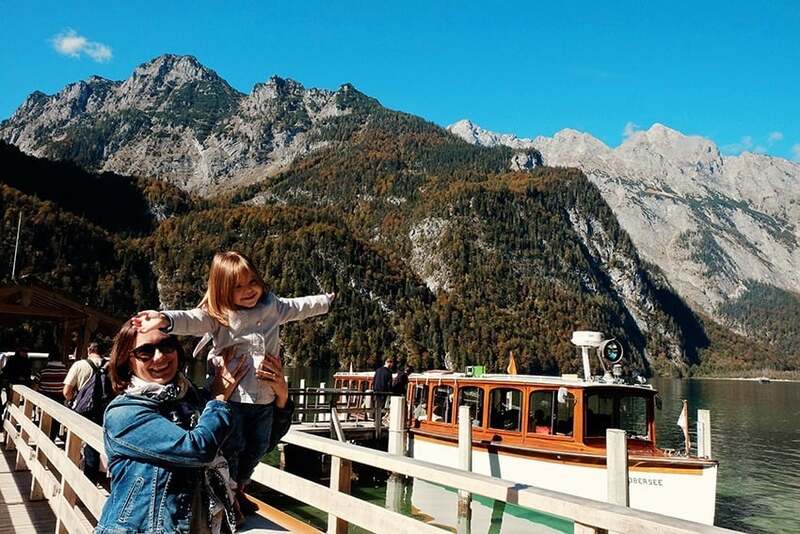 Watch our video to see what we did during our day at Lake Königssee. 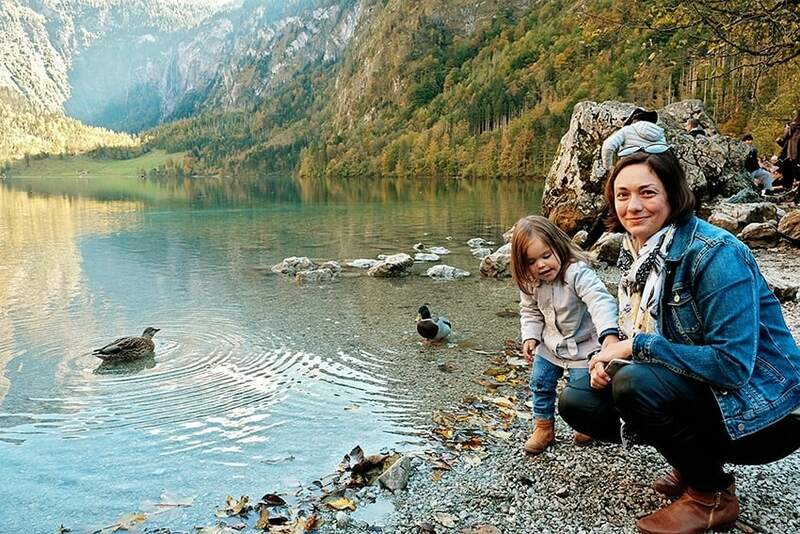 A day at Lake Königssee is nothing but relaxing and serene. The boat travels pretty slowly, which allows for plenty of time to simply relax and be impressed with the views. On the way to the first stop, the boatman blows a blast on his trumpet, to showcase the beautiful echoes that bounce back from the mountain walls. There are only two stops on this lake: St. Bartholomä and Salet. About two-thirds of the way out into the lake, 30 minutes, is the church of Sankt Bartholomä. It will take another 30 minutes to the last stop of Salet. 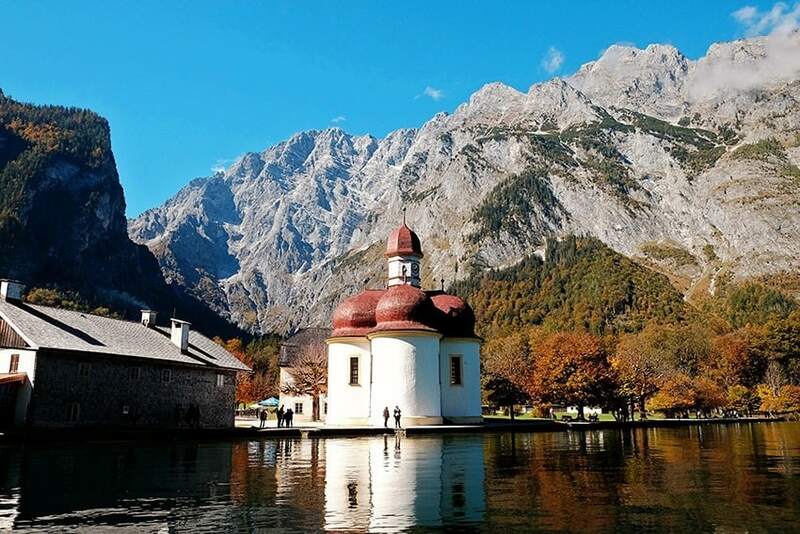 The first and most popular stop, after exploring the majesty of the lake, is the church of Saint Bartholomä. This is a quaint and uniquely designed church – yet not very large in stature. Once you’re done soaking in the scenery, hike a bit along the edge of the lake to reach Malerwinkl, the so-called painter's corner. 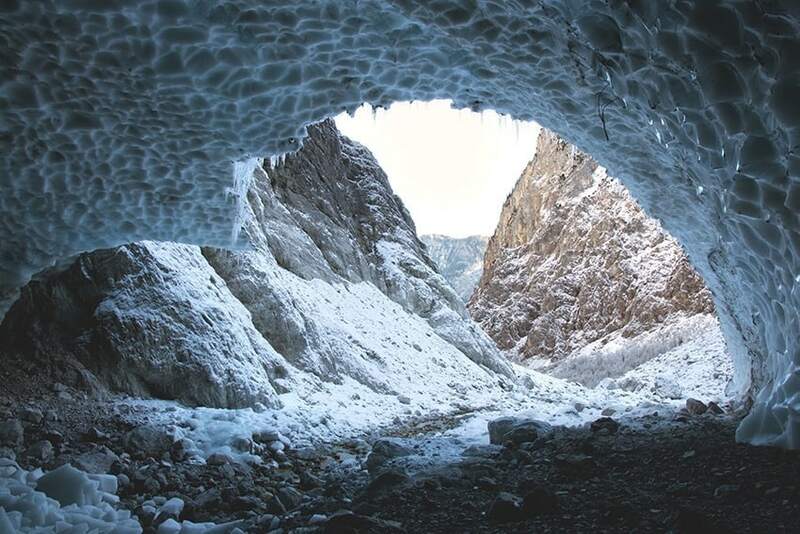 Or, if you are keen, tackle the 6 km climb up to the Ice Chapel (Eiskapelle). Before heading off to the next stop, why not take a seat and enjoy a lunch at the restaurant in the former hunting lodge next to the church. After stopping at Saint Bartholomä, the boat continues for another 30 minutes to the southern end of the Lake, at Salet. The second stop on the lake is Salet. Most people come to Salet to enjoy some hiking. 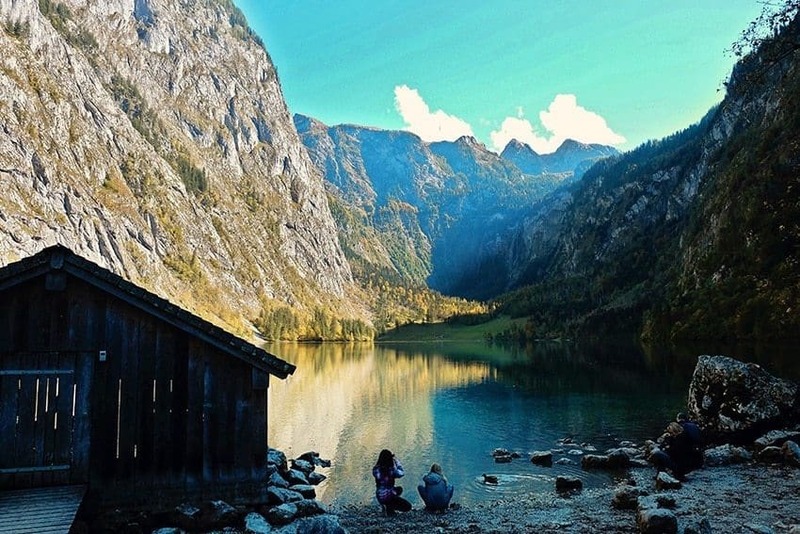 The most popular hike here leads to the beautiful Obersee Lake. The hike is a short 15-minute walk. The pathway is pretty level and easy. 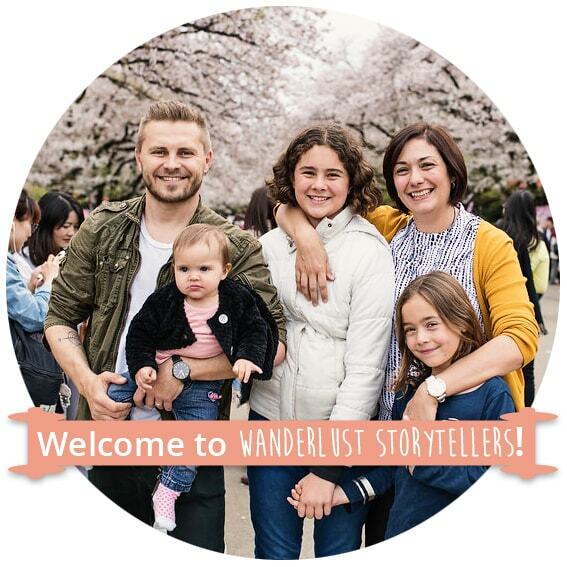 We found it really easy to stroll our 2-year-old along as well. Along the walk, you will come across a restaurant (for those who might be hungry). Overall the views are truly spectacular. And the end result? Well, let’s just say that photos won’t do Lake Obersee any justice. The Obersee is incredible, with a mirror reflection of the majestic Alps, as well as the beautiful Röthbach waterfall in the background. WOW! After the boat ride, catch the cable car up to Jenner Mountain for some wonderful views. If you’re done with the Königsee boat trip with time to spare, the best option is to go and explore Jenner Mountain. 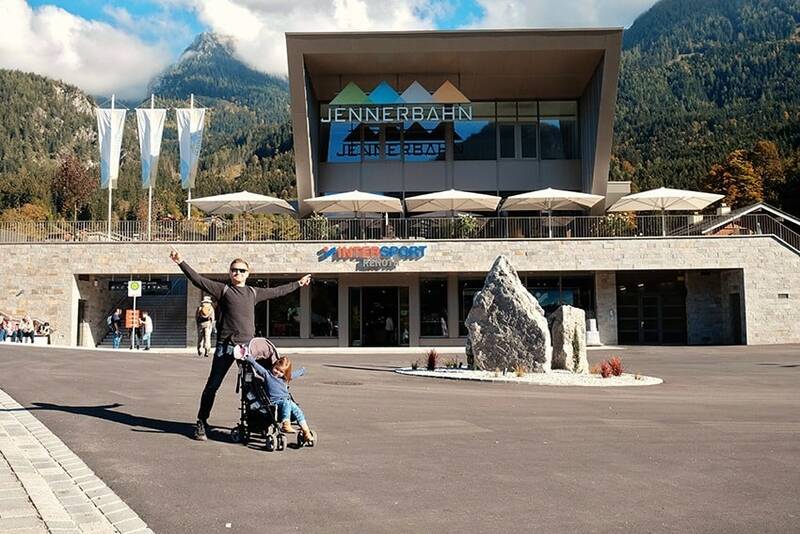 The Jennerbahn Cable Car entrance is located in the same car park as for Lake Königssee. 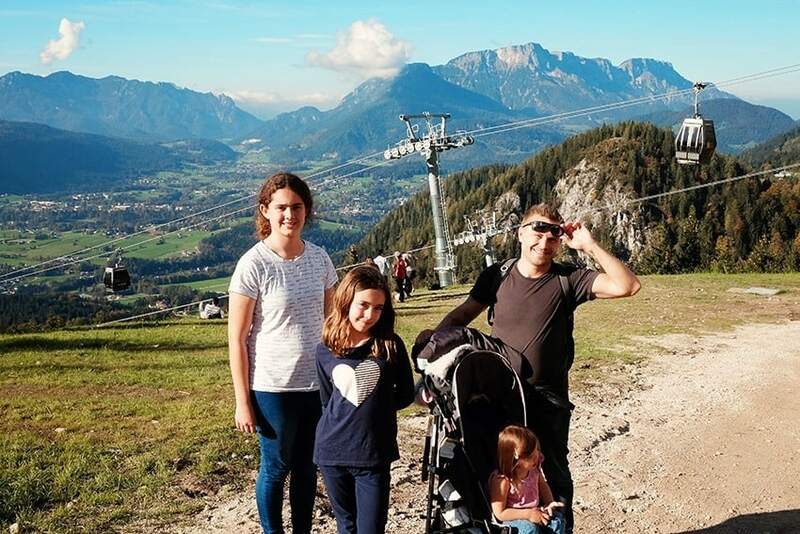 The cable car trip is short, and you get to see one of the best views of natural beauty in the entirety of Germany – comparable even to the Eagle’s Nest. 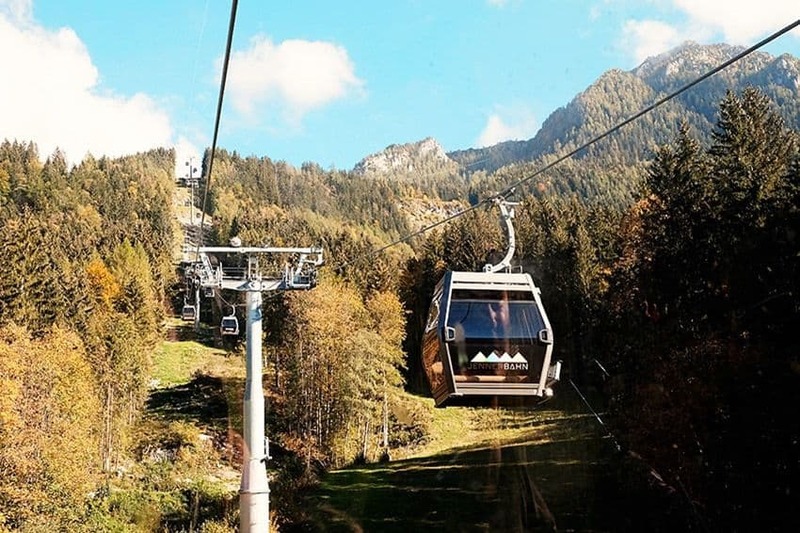 Important to Note: Currently you can only go up to Mittelstation as they are replacing the old 2 person cable cars with some beautiful larger cable cars. The first half of the replacement is complete, but they are still working on changing over the 2nd half of the cable car journey. This is the view you will currently get from Mittelstation. You can also enjoy some hiking from here as well. In the winter, Jenner Mountain is popularly known as a skiing destination. You can watch their official site to see when the full cable car trip will be back up and running. The round trip to the mountain and back costs around 21 euros. A day at Lake Königssee is always a brilliant day. We were so impressed with the scenery and the wonderful views. We drove back to our accommodation fully relaxed and happy. 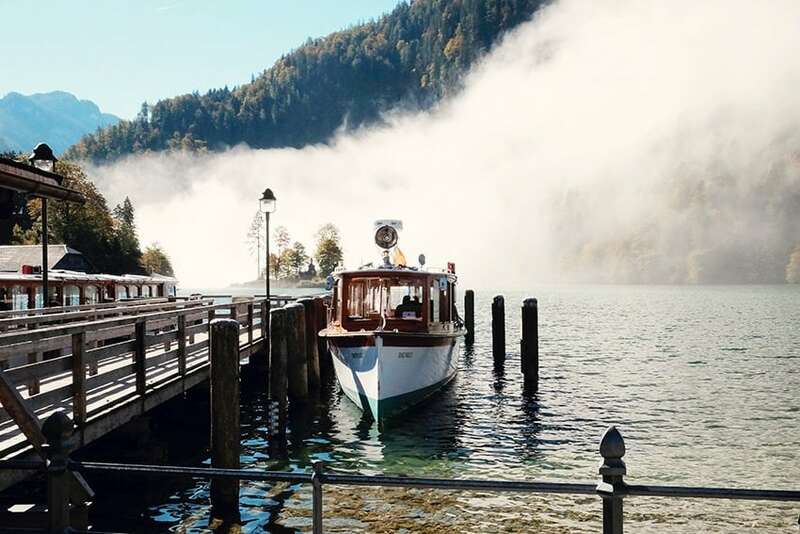 Disclaimer: Thanks to Berchtesgaden Land Tourism for organising our tickets for both the Lake Konigssee Boat Tour as well as the Jennerbahn Cable Cars.